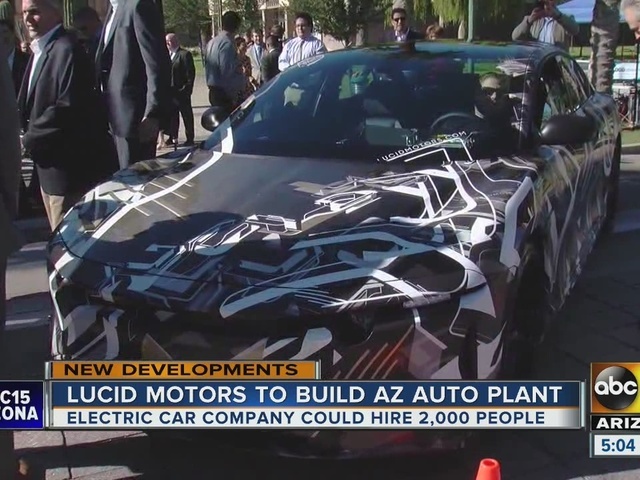 Luxury electric car maker Lucid Motors announced Tuesday that it is going to build a manufacturing plant in Casa Grande with plans to hire 2,000 people by 2022. Saudi Arabia's sovereign wealth fund invested over $1 billion Monday in an American electric car manufacturer just weeks after Tesla CEO Elon Musk earlier claimed the kingdom would help his own firm go private. The Saudi Public Investment Fund said it would invest the over $1 billion in Newark, California-based Lucid Motors. The investment "will provide the necessary funding to commercially launch Lucid's first electric vehicle, the Lucid Air, in 2020," the sovereign wealth fund said in a statement. 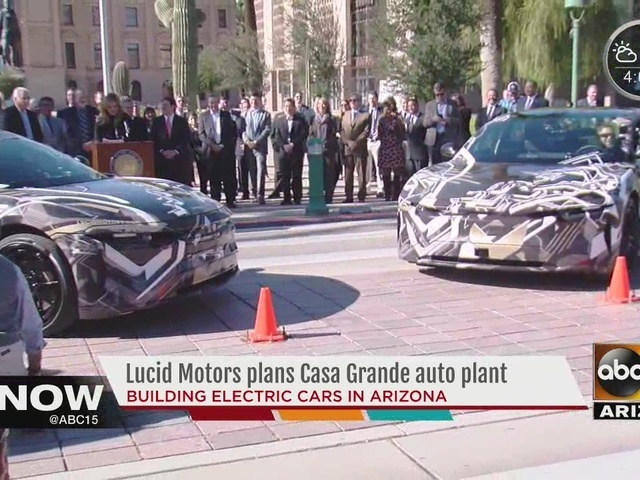 "The company plans to use the funding to complete engineering development and testing of the Lucid Air, construct its factory in Arizona , enter production for the Lucid Air to begin the global rollout of the company's retail strategy starting in North America." The all-electric Lucid Air will have a range of over 400 miles (640 kilometers). The company already is taking deposits for the vehicle, which they've priced at $52,500. On Monday, Tesla stock fell 1.25 percent in early trading to $291.50 a share. Meanwhile, the sovereign wealth fund known by the acronym PIF said it had taken its first loan, an $11 billion borrowing. It did not say how it would use the money, only describing it as going toward "general corporate purposes."